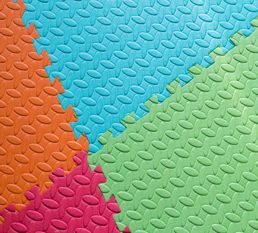 We partner with the world's best factories for interlocking and none interlocking multi purpose foam floor mats, as well as puzzle mat manufacturers, exercise mat manufacturers, eva mat manufacturers, and tatami manufacturers. Most yoga, boxing, karate, judo, fitness, exercise, and even child-care centres require a comfortable and safe flooring environment. Our fitness flooring mats help you to make the best out of your gym! The EVA fitness floor mats are very easy to assemble, safe, durable, lightweight, comfortable, and promote an anti-fatigue feeling. They can even be made waterproof for outdoor uses. Gym mats ensure a safe workout. 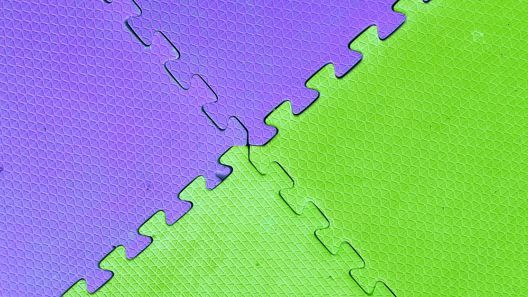 Exercise mats are essential to protect joints from being hurt or even damaged from hard floors during fitness workouts. A common floor mat is the 5/8 inch thick interlocking EVA gym interlocking floor mat with a non-slip surface. These help avoid injuries during exercise and increase the comfortability of practicing Yoga and other exercises. Tatami style interlocking mats also create a peaceful atmosphere. 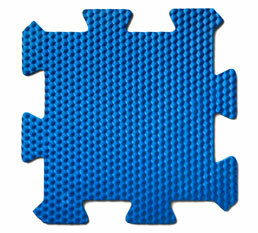 The interlocking soft rubber foam mats are very easy to assemble, expand, move, store and clean. Further common uses of these mats are in living rooms, bedrooms, home gyms and sun decks. The texture, grip, size, color, material, and logo print are fully customisable to meet your needs. We also offer custom made packaging and cartons for an inherent stylish presentation of your products. why G.F.F. 's fitness flooring mats? Two tone EVA interlocking floormats. EVA interlocking floormats are commonly produced by a shock absorbing, insulating foam fabric made of EPDM, SBR or rubber with a density of 60-120kg/m3. Two tone EVA interlocking floormats in yellow, blue, and green. 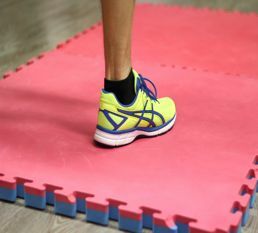 The thickness of a fitness flooring mat generally ranges from 1 to 5cm. Different color styles of interlocking EVA flooring mat.